In this edition of the Salon Success Newsletter I would like to wish all of our clients a Happy Independence 2014, a very special occasion at 40 years. Valentines is also around the corner and we have some special Valentine’s Day Promotions to share with you. You can Look and feel great on this special day from head to toe! In our Education section we welcome all Beauty Professionals to join us at Salon Success this February, with our monthly Seminar being held in Grenada. In addition, I would like to congratulate my business partners Hazel Ann Batson & Natalie Mahy Belle in Barbados and Nicole Aleong & Blake Batson in Trinidad & Tobago. Their exceptional work has helped Barbados and Trinidad & Tobago to embrace the revolutionary new de Fabulous product line. In our Beauty News we discuss the latest professional Beauty Tools on the market, which we now use on you at Salon Success. In addition, Macadamia Natural Oil is featured at the Grammy Awards! See more in our Product of the month section. We’re at the Zarycon Designs Fashion Show at Sogecoa Hotel on February 15th to support the efforts of a Grenadian Entrepreneur Connie Zary Farrier. In addition, don’t miss the new Play directed by Ricardo Keen’s Douglas ‘Uncle’ being held at the Grenada Trade Center on February 8th & 9th. In other Client News we introduce you to the products of Mrs Amina Gibson and offer you the opportunity to save more by buying local! Premium IsoTherm titanium plates deliver perfect smoothing, flips and waves, gliding through hair in one easy pass. The ultra-sensitive SmartSense microchip monitors temperature 50 times per second, ensuring perfect, even heat. Creates beach waves quickly, thanks to high-performance titanium and a clipless design. A premium IsoTherm titanium barrel and state-of-the art heater deliver beautiful, natural-looking curls. A clipless, IsoTherm titanium styling cone creates perfect ringlets and spirals. Ask about our New Neuro Tools at Salon Success and experience only the highest quality hair care. 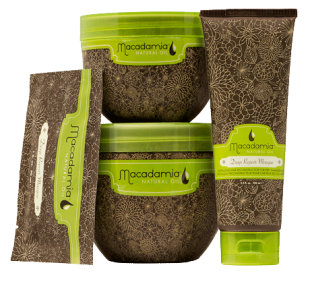 Introducing the Macadamia Natural Oil Deep Repair Masque Treatment. This unique treatment is new to Grenada and offers you the opportunity to restore and protect your hair from damage. Zarycon Designs Fashion Show being held at the Sogecoa Hotel on February 15th 2014. Ask about tickets at our reception at Salon Success! ‘Uncle’ directed by Ricardo Keens Douglas being held at the Grenada Trade Center on February 8th & 9th. Ask us about where you can purchase tickets! Salon Success encourages the support of local businesses and healthy lifestyles. Ask us for more information on how you can purchase and save more with Mrs Amina Gibson.